If you’re passionate about emerging markets, you may be curious about how to invest in marijuana. The marijuana market is growing, and marijuana is now legal for recreational use in 8 states and the District of Columbia, and for medicinal use in 29 states including Ohio. Marijuana has become a $9.7 billion industry, and is expected to grow to $25 billion by 2021. This leaves many people wondering how they can get a piece of the action. Getting in on the ground floor of medical marijuana in Ohio is still a tough sell, unless you are one of the lucky few who received one of 24 cultivator licenses, a Level I license at a cost of $200,000, or a Level II license for $20,000. 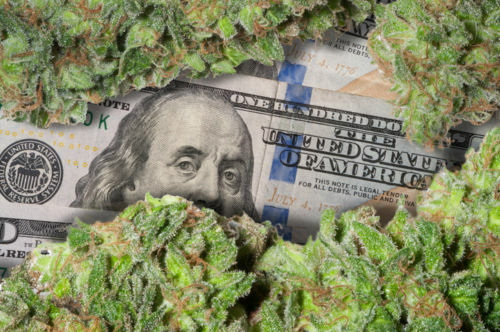 However, there are still ways to invest in marijuana, such as investing in marijuana through penny stocks, investing in ancillary marijuana companies, or investing in biotech or biopharma. Investing in legal marijuana is tricky, however, because it remains illegal at the federal level. This tension makes investing in marijuana a little more complicated than investing in other markets. The marijuana market is currently comprised of several small players with a limited market share. Most of them are not big enough to trade on the main exchanges. Instead, they are traded on over-the-counter exchanges or are backed by venture capital funds. If you want to invest in American or Canadian cannabis companies, you can choose penny stocks on over-the-counter-exchanges, or invest in regular stocks on major exchanges. Both kinds of stock can be purchased through online brokerages. Penny stocks are cheap, but volatile. One investor bought 10,000 shares in a marijuana company for $500. Two days later, the stock went up 50 percent. Two days after that, the stock price plummeted. Before investing in penny stocks, understand that they don’t face the same reporting requirements as traditional stocks. Unknowing investors could become victims of pump and dump schemes. If you do choose to invest in penny stocks, it’s important to do your research. Read what experts say about the company, search Twitter using “$” plus the ticker symbol, track revenues, and ensure the founders have never been accused of fraud. While you cannot invest in a marijuana mutual fund, you can invest in two exchange traded funds (ETFs): Horizons Marijuana Life Sciences ETF (HMMJ), and Alternative Harvest ETF (MJX). You can also invest in ancillary marijuana companies. These companies are not directly involved in growing the plant, but they make supplies that users need to deliver the product. One benefit to investing in ancillary products is that they don’t have to deal with massive overhead or the potential of a federal crackdown. Examples of ancillary marijuana products include companies that make packaging, such as Kush Bottles, or companies that produce vaporizers, irrigation lines, or software. Some analysts even consider Scotts Miracle Grow a marijuana stock at this point. A company like Scotts Miracle Grow has exposure to the marijuana industry through its production of hydroponics used for growing marijuana. Hydroponics is a technique of growing plants without soil. Scotts also supplies pesticides for the marijuana industry. Lighting manufacturers also have exposure to the marijuana industry. Traditionally the marijuana industry used high-pressure sodium lights to grow cannabis. However, given their environmental unfriendliness and the high cost of this option, LED lighting is being considered as a viable alternative to traditional lighting sources. Another investment opportunity is biotech and biopharma, where you can invest in companies like GW Pharmaceuticals, Cara Therapeutics, Abbvie, Zynerba, and Insys Therapeutics, who make endocannabinoids to treat conditions like epilepsy and cancer pain. If you choose to invest in ancillary marijuana companies, do a little research so you know exactly what you’re investing in, as not all synthetic cannabinoid manufacturers are pro-marijuana legalization. You can also invest in mainstream biopharma companies that have one or more cannabis based products in their portfolio. For example, Abbvie (NYSE:ABBV) manufactures Marinol, a synthetic form of THC, that has been approved for treatment of chemotherapy-induced nausea and vomiting, as well as anorexia resulting from AIDS or cancer. Insys Therapeutics (NASDAQ:INSY) manufactures Syndros, which is a synthetic form of THC similar to Marinol. Valeant Pharmaceuticals Intl. Inc. (NYSE:VRX) manufactures Nabilone, marketed under the trade name Cesamet, which is a synthetic cannabinoid used to treat nausea and vomiting in cancer patients who have failed to respond to conventional anti-vomiting treatments. If you choose to invest in ancillary marijuana companies, do a little research so you know exactly what you’re investing in, as not all synthetic cannabinoid manufacturers are pro-marijuana legalization. For example, Insys has lobbied against marijuana legalization. For marijuana-related investment advice, consult MarijuanaStocks.com. Investors should also familiarize themselves with the U.S. marijuana index, which has been in place since January 2015. The U.S. marijuana index is a compilation of 15 of the leading cannabis stocks operating in the U.S., and has been volatile. Companies with revenues greater than $5 million per year are exempt from these listing standards. Given the increasing acceptance of marijuana among the general public and the huge market opportunity, many people want to invest in this high-risk asset. Investing in medical marijuana is an exciting opportunity, but you should do your research first. Thoroughly vet any companies, and stay on top of what’s happening in marijuana-related legislation. Start by paper-trading - writing what you would have bought and when, as well as when you would sell, then track it to see how your investment would have fared. Once you feel confident in your abilities to invest, consider putting some real money in the game. If you’re considering investing in marijuana as part of an estate planning strategy, contact an experienced probate and estate planning attorney at Wolfe Legal Services today.